What should we think about when we take the sacrament? This beautiful picture book gives gentle suggestions that inspire reverence in children of all ages. 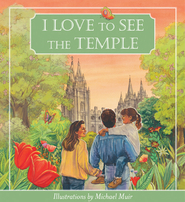 Using simple yet meaningful words and images, the full-color pages depict key events in the Savior's earthly ministry as well as contemporary scenes of children living the truths He taught. While highlighting key gospel principles, like gratitude and obedience, as well as touching on the importance of families, following the prophet, and sharing the gospel, the focus remains on the Lord's love for all and His special care for the little ones among us. 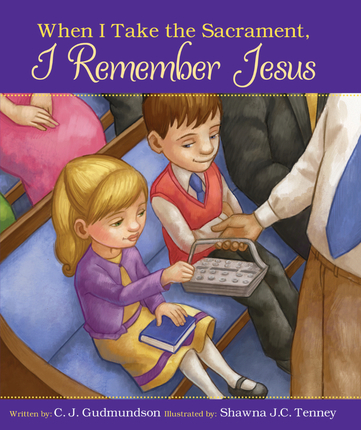 An ideal gift for growing families, this book is a perfect companion for sacrament meeting as well as a helpful resource for Primary lessons and family home evenings. Shawna J.C. Tenney has a BFA degree in illustration from Brigham Young University. She is an author and an illustrator with over ten years of experience of publishing in the national children's book market and in Church magazines. She lives with her husband and two daughters in Eagle Mountain, Utah. I just ordered several copies for my grand children. Great message for them in an easy to read format.